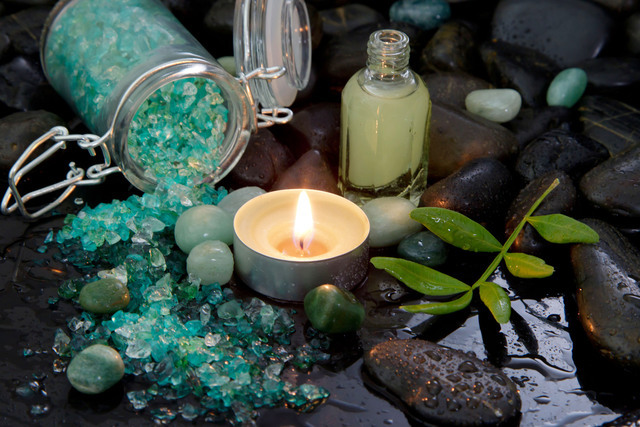 Aromatherapy massage is a combination of deep massage, yoga stretching, and concentrated plant oils. Everybody knows that massages soothe your body and provides relief of muscles, but it’s a whole different story when you include essential oils to the mix. Doing so promotes the release of tension in your mind which has unlimited benefits to your body. Not just by the breath, but also through skin absorption, the concentrated oils stimulate a state of serenity. The massage can be customized to your own personal preference as each essential oil triggers different elements. The combination of oils will be picked with the by examining symptoms shown in the client. If you’re feeling a little adventurous, you could even blend up your own essential oils for the sessions and let the room be filled with your ideal aroma. This is just one of many ways to help the body detoxify and get a balanced & relaxed hour.